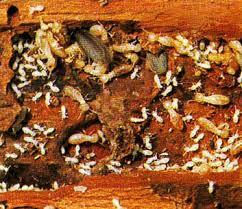 Kilter Termite and Pest Control is the trusted source for termite damage repair serving the residents of Oceanside, California, and the surrounding areas. We always strive to exceed our customers’ expectations, which is reflected in the exceptional reputation for trust and reliability that we’ve earned over the years. We are one of the most experienced companies in the area, having serviced local homeowners since 1991. We only send expert craftsmen to our customers’ homes who uphold our exceptionally high standards for quality workmanship. For homeowners who require it, we can also provide proven-effective extermination services. This saves customers the time and hassle of finding multiple contractors to handle every aspect of their project. Additionally, Kilter’s repair services are superior to the competitions’ in many ways. For example, we only use primed, construction-length boards in our repair projects. This not only ensures that the repair will be seamless and blend with the rest of the home, but also that the replacement boards will be durable enough to stand strong against the elements year after year. To provide our customers’ with the peace of mind that our repairs will be of the highest quality, we back our workmanship with a one-year warranty. If you’d like more information about Kilter Termite and Pest Control’s extermination and termite damage repair services, contact us today. We’re proud to serve homeowners in Oceanside, CA, and all surrounding communities.